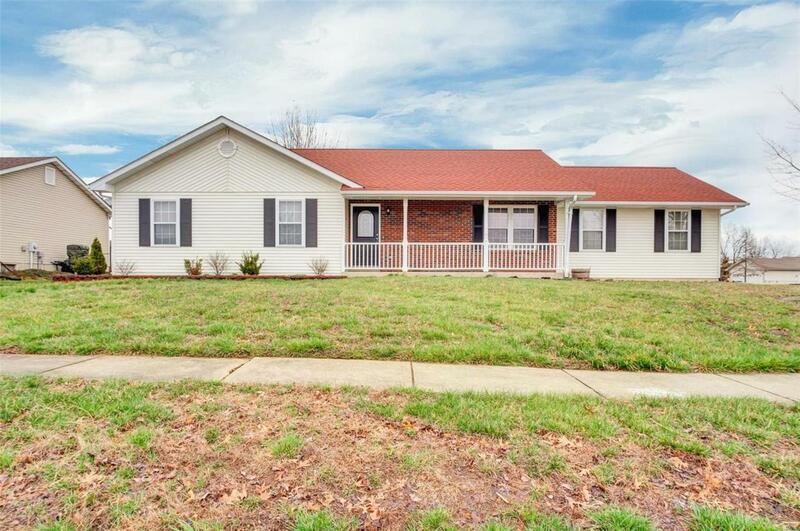 This home has been fully remodeled, all new carpet and LVT flooring throughout! Brand new contemporary gray vanities and beautifully tiled bathrooms, in ALL 3!! White six panel doors, ample closet and storage space. Walk from your front foyer into the large open family living space, with fully updated kitchen, luxury calacatta quartz countertops and backsplash with 16 gauge extra thick stainless steel sink and high end faucet, matching contemporary gray cabinets, and stainless steel appliances. If you were to custom build your home all of these finishes would be an add on, including the partially finished lower level, with huge family room, possible 4th bedroom or office and HUGE 3rd bathroom, ample extra clean storage off back of the basement.All of this offered on a giant corner lot, with attached 2 car garage, and fenced backyard, you literally only need to bring your furniture and everything is ready for you! Listing provided courtesy of Alexander Realty Inc. Listing information © 2019 Mid America Regional Information Systems, Inc.